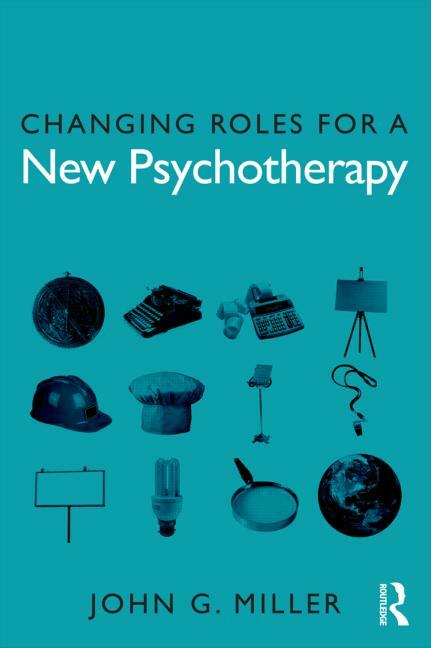 Dr. John G. Miller, Emeritus Professor of Psychology at the University of Illinois Springfield, has published a new book, Changing Roles for a New Psychotherapy, which aims to demystify the practice. The book draws on his previous careers as an Air Force mapmaker, management consultant, state hospital psychologist, and even the summers he spent in college cutting brush -- as well as his years as a professor of psychology and as a private practitioner. Through the experiences Miller shares in his book, the reader will learn that psychotherapy does not have to follow a one size fits all approach, and that it can be conducted in some interesting and unorthodox ways. The book examines 11 different occupations that readers can relate to and compares them to psychotherapy approaches that he has used throughout his career. How does cooking relate to psychotherapy? Can accounting principles change the way psychotherapy is conducted? What is the conservation approach to psychotherapy? In this collection of anecdotes, case histories, and reflections, Miller answers those questions, and many more. Highly useful to the professional psychologist, counselor, or psychotherapist, the book is also a delightful read for anyone interested in human behavior. The book is available through Routledge Mental Health, Taylor and Francis Group, and can be accessed online at www.routledgementalhealth.com/books/details/9780415656573/. Miller is also available for lectures, presentations, and book signings. He can be reached directly via email at jmill1@uis.edu. Ashley Scott is leading by example at the University of Illinois Springfield. The senior criminal justice major founded the Legacy Dance Team and now serves as president of the Black Student Union (BSU). In her BSU leadership role, Scott mentors African American students of all ages and helps to resolve any issues they may face on campus. “We just try and help our African American students, whether they’re freshmen, sophomores, juniors, seniors, fifth year, graduates, basically getting them educated, uplifted, and empowered to make sure they get across the stage,” said Scott. As a freshman, Scott founded the Legacy Dance Team, a hip hop culture dance team, which now performs at campus events ranging from homecoming to basketball games. “I’m pretty proud of it. That’s an organization that’s guaranteed to be around for a long time,” said Scott. Scott says her criminal justice classes have made her realize “you can’t be afraid to take a chance”, which has influenced her philosophy as a leader. “You have to think before you act,” said Scott. She also recognizes the role of mentors she’s had on campus, such as Dr. Clarice Ford, director of the UIS Diversity Center and BSU adviser. In addition to her roles with the Legacy Dance team and BSU, Scott serves as the performance coordinator for the Student Activities Committee (SAC). Following graduation, Scott plans to continue her education and eventually pursue a career in Student Affairs at a university, such as UIS. 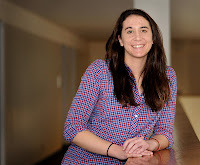 The University of Illinois Springfield Research Board has awarded English master’s student Sarah Collins with the UIS Outstanding Master’s Thesis Award for the 2011-2012 academic year. Collins’s thesis is entitled “The Face of Disability: Humanizing Effects of Autographics on the Physically and Mentally Impaired”. Five graduate programs nominated finalists for the award. Each of the submitted thesis/projects have, thus, already received departmental recognition for excellence and will be publicly honored at a reception on January 28, 2013. “The Research Board was impressed by the interesting range of topics and methodologies among this year’s nominees. Members found it challenging to select a single recipient of the award,” said Cecilia Stiles Cornell, faculty associate in the Provost’s Office. University of Illinois Springfield senior Elizabeth Kelly was honored with the Student Laureate Award from the Lincoln Academy of Illinois during a ceremony on Saturday, Nov. 3, at the Old State Capitol in Springfield. Kelly, a Carlinville, Ill. native, is majoring in Political Science and Legal Studies at UIS. She holds a 4.0 GPA at UIS and plans to attend law school following graduation in May. “As a student, I have always been motivated to be the very best I could be, competing with my fellow classmates to achieve the best grades; however, I understand that education and school is all about learning and becoming a more well-rounded individual,” said Kelly. At UIS, Kelly is a member of the women’s basketball team, the Phi Kappa Phi honor society, and the Pre-Law Society. Basketball has served as a gateway for Kelly to volunteer and work with groups throughout the Springfield community. Kelly was honored by the Division 2 Athletics Directors Association (D2ADA) with an Academic Achievement Award during the 2011-12 basketball season. She was also selected to the academic All-Great Lakes Valley Conference (GLVC) team, made the UIS Chancellor’s Academic Honor Roll and Dean’s List. On the court, Kelly started 20 games last season and saw action in 26 contests. She was fourth in the GLVC in rebounding in 2011-12. “As a member of the team, I have expanded my work ethic and dedication to the game, and my leadership skills grow every day. The life-experiences and opportunities that I get from playing basketball are unattainable in many other college life organizations,” said Kelly.